Miriam Adelson is among seven people Trump is recognizing with the Medal of Freedom, the highest honor America can give a civilian. 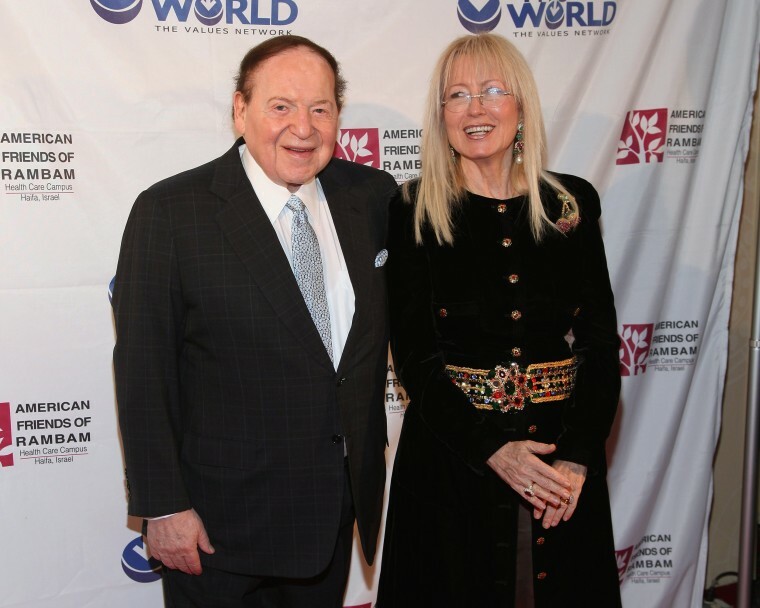 WASHINGTON — Miriam Adelson is a doctor, philanthropist and humanitarian, but is perhaps best known as the wife of Sheldon Adelson, a Las Vegas casino magnate considered one of the nation's most powerful Republican donors. She gets to add a new title Friday when President Donald Trump honors her with the Presidential Medal of Freedom. The Adelsons gave Trump's presidential campaign a $30 million boost in the final months of the 2016 race. The couple followed up this election cycle by donating $100 million to the Republican Party for last week's midterms. "It's emblematic of the corrupt and transactional presidency of Donald Trump, and it is a shame, but not a surprise, that he is corroding and corrupting a civic treasure, an honor like the Medal of Freedom," Weissman said. The award is given to individuals "who have made especially meritorious contributions to the security or national interests of the United States, to world peace, or to cultural or other significant public or private endeavors." Miriam Adelson said she is "deeply humbled and moved by this exceptional honor." "Liberty is at the heart of my decades of work against substance abuse. Drug dependency is enslavement, for the user and his or her family and society, and treatment an emancipation," she said in a statement released Thursday by Las Vegas Sands Corp., a company owned by Sheldon Adelson that operates hotels and casinos around the world. "Together, my husband, Sheldon, and I have dedicated our lives to freedom: to a free market that benefits the greater good and to philanthropic endeavors that succor those suffering from poverty and disease." "He has total discretion as to who and when and how," said McClellan, who has studied the Presidential Medal of Freedom. Christopher Devine, a politics professor at the University of Dayton, questioned Miriam Adelson's impact on American culture or national interests as compared to past recipients like Oprah Winfrey or Bruce Springsteen. Both Winfrey and Springsteen received medals from President Barack Obama, whom they supported politically. "This is what leaves many people wondering whether President Trump singled her out for an award as something of a thank-you for her and husband Sheldon Adelson's very substantial donations to Republican candidates and causes over the years, including ones in support of Trump's election in 2016," said Devine, who wrote a book about the Presidential Medal of Freedom. Devine said that while Miriam Adelson isn't the first campaign contributor to receive a Presidential Medal of Freedom, the size of her campaign contributions sets her apart from the rest.